One of my best projects was a print campaign I did with Minute Maid Pulpy. I worked with MMP as a professional wardrobe stylist Los Angeles for a shoot. It was a very exciting project as I had to style the talents matching to the brand’s colors and identity. For the project, I give different styling options to MMP on what clothes, shoes, and accessories will match to their campaign. Amanacliq is a full service production house dedicated to the dynamic Asia market. Amanacliq partners, amana inc from Tokyo and Bernstein Andriulli from New York, they are able to provide complete visual solutions with a wide range of services from photography, film and illustration to facilities and equipment rental, as well as post-production work. With the experience of working with most multinational clients and advertising agencies worldwide, Amanacliq’ve been keeping sparking fresh exciting ideas for the advertising industry and clients including some of the world’s largest brands such as Adidas, Coca-Cola, Nike, P&G, Chrysler, Pepsi and Unilever, etc. I am very glad to be part of Amanacliq’s selected professional wardrobe stylist for this major campaign. 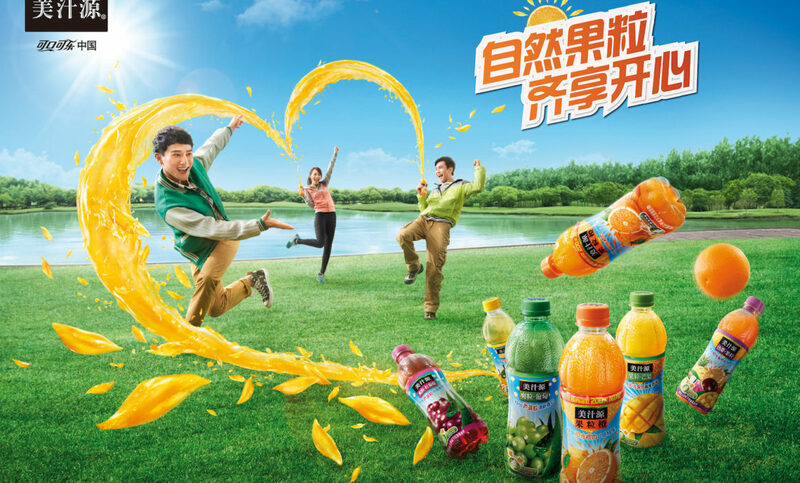 Minute Maid is the producer of branded juices, drinks and juice blends. There are a variety of flavours that keep you refreshed with great taste and good nutrition. 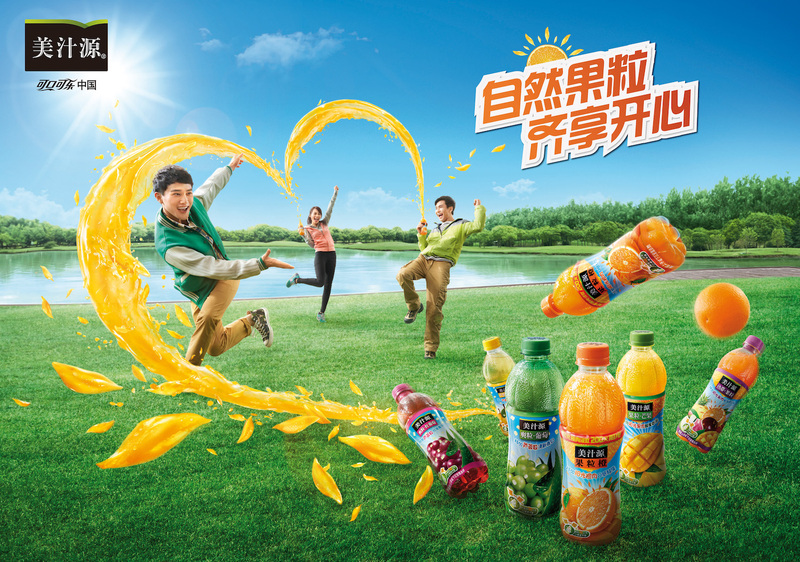 Minute Maid – one of the world’s largest juice and juice drink brand. I am enjoying my job as a professional wardrobe stylist Los Angeles and I love working with a wide range of looks and stlyes that my clients request. I get excited about working with popular brands and about what I can contribute to their project. Most of all, I love the delight of seeing my work used by clients in some of their major campaigns. One of my favorite projects was a campaign I did with Forever21. I worked with them as a celebrity fashion stylist for a shoot in Shanghai. It was a big project as I had to work with and create looks for 20 influencers, as well as recruiting a hair and makeup team. For the project, Forever21 gave me options on what clothes, shoes, and accessories from their collections to style. Forever21 is one of the most popular brands in the world, targeting their clothes to a trendy youth demographic. The influencers I worked with are KOL’s, and styling them was both fun and challenging as they each have their own brand and personalities. I created different looks for each personality and a variety of looks for each model including bohemian and free-spirited, sporty but leisurely, preppy, textured casual, floral, among others. The models had that trendy, Forever21 look and wore the outfits effortlessly. Best of all, the models were very easy to work with and the shoot went very smoothly. Choosing the Style – Having the opportunity to choose different clothes, shoes, and accessories gives me the excitement of mixing and matching many different items. 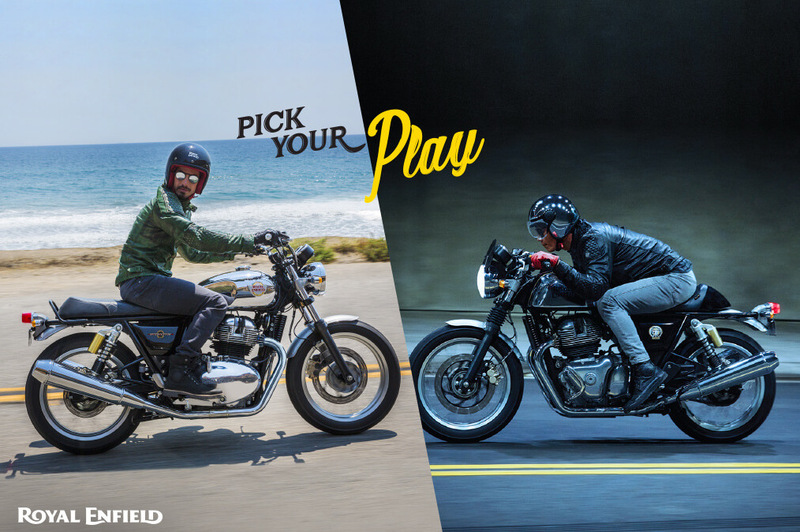 I have the creative freedom of choosing the looks I want that would suit what the brand is going for in terms of the campaign’s theme. Working with Influencers – Working with a popular brand means working with influencers. Today, influencers are everywhere from YouTube ads, to billboards, and everything in between. For this particular campaign, the photos were used as advertisement materials for the brand posted all across Shanghai. 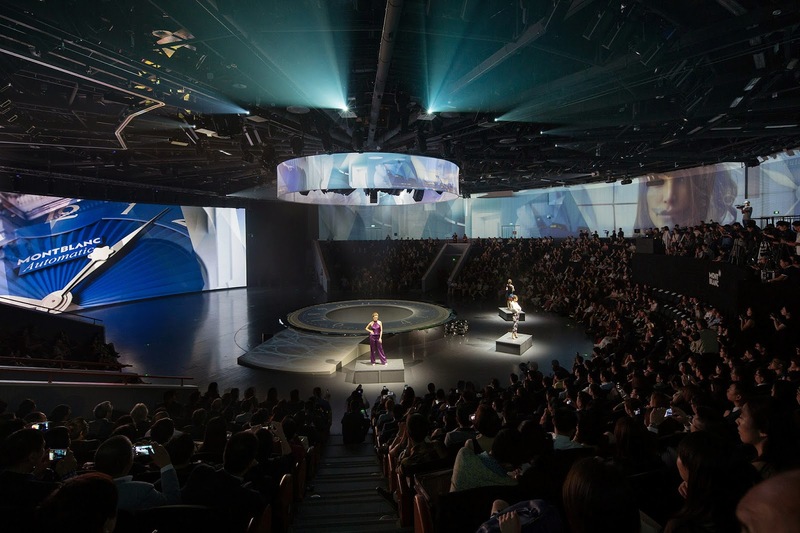 Traveling – When traveling to different locations, you get to go to beautiful places such as Shanghai, where I worked for two weeks on this campaign. Asia has a huge fashion industry and beautiful cities that work wonderfully as backdrops for fashion shoots. Working as a celebrity fashion stylist will sometimes allow you to work on projects in some of the most beautiful cities in the world. Expanding Your Network – One of the most important ways to maintain project stability stems from creating and expanding your network. Creativity and hard work go a long way, but you should also make efforts to help your portfolio stand out from the rest, and working with a popular brand can certainly help expand your network. As they say, “it’s not what you know, it’s who you know”. Being a celebrity fashion stylist, shooting for popular brands, and directing a team of makeup artists and hair stylists can be a great experience. This is the kind of project I really enjoy working on, and I hope to work on similar projects with Forever21, as well as other popular brands in the future. As a professional wardrobe stylist in California, I had the luck of flying to the Philippines to style a TV commercial with the Shooting Gallery Asia production company team. It was a very exciting trip. 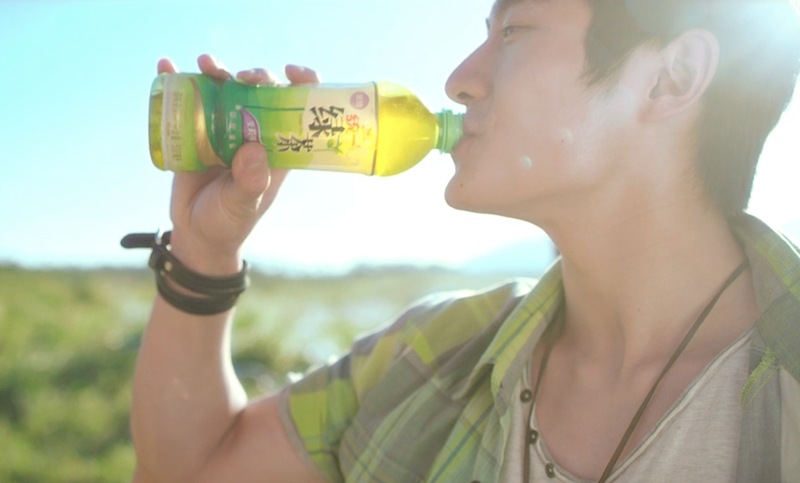 We were shooting their Green tea TV commercial for three days around Manila. We worked with an advertising agency called GREY China. As a professional wardrobe stylist, I love planning ahead. As soon as I get a brief about a project, I immediately have a vision of what the brand can use for the shoot. It helps make the actual shoot run smoothly. I prepared most of the wardrobe styling in Shanghai, China throughout my pre-production days. In Manila, I only had to source a couple of additional wardrobe choices to complete the looks. Another tip, for aspiring wardrobe stylists out there, is to always have a backup plan. Bring as many styles there as are available and is possible to use on location, especially when working in a place you are not familiar with. 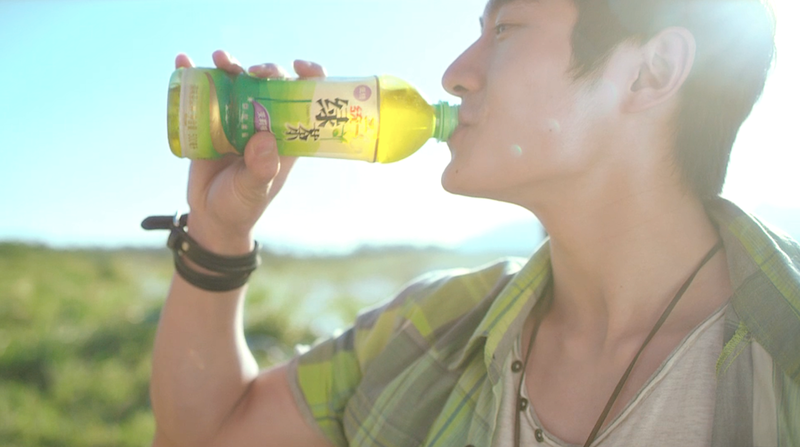 Our commercial was for a green tea brand so the looks had to match with the brand’s previous advertising campaigns. Our main color was green. I loved playing around with the tones for this shoot. The art direction for this project created a really friendly, lifestyle and happy atmosphere for the camera. I love how we were able to harmonize each of the aspects of the production to create a fun commercial to watch. I personally like it when all these visions come together into one work of art. A professional wardrobe stylist is one of the foremost trending professions within the fashion and commercial world globally. What a wardrobe stylist does is select the clothing and accessories for commercials, editorials, print or TVC advertising campaigns and music videos produced by advertising agencies and production companies. This profession is really essential to these companies because if not for the styling and branding, the message of the commercial will not be communicated across to the audience and customers. I also had an excellent time working with Indie Go Media and Shooting Gallery Asia production companies in the Philippines, I hope to create more projects with them in the future. Shooting Gallery Asia is a TVC and Film production company that has a wide range of clients. 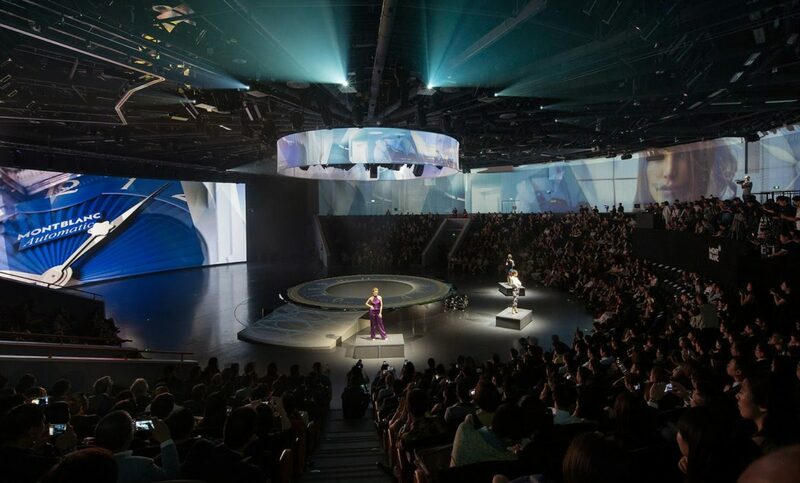 They are a trusted name in production with projects spanning from Singapore, China, Indonesia, Vietnam, Philippines, Malaysia, France, New Zealand, The Maldives, and Japan. They also do 3D CGI/Capture and Print, Digital Imaging and Original Content Creation. Getting to travel across the world, is just one of the many perks of being a professional wardrobe stylist. But most of all, I get to do what I love and enjoy working with creative people! I would like to share a fun experience I recently had working as a celebrity wardrobe stylist Los Angeles. L.A. has a great community of creatives working with each other. Tarek Reed is the fashion photographer I worked with on this campaign. I have already worked with him on a couple of projects, his works are simply stunning. Celebrities and influences are some of my favorite people to work with because they have a certain energy that is contagious. These celebrities and influencers have a certain personal brand that they have achieved which makes each one unique to style. This group of talent also gives me a lot of options to create the looks that they can easily pull off. Working with them is always an adventure and experimental at times. Tarek Reed is one of my favorite fashion photographers. It was a pleasure to work with him, especially because there are a lot of people he can pick for a celebrity wardrobe stylist in Los Angeles. We did photo shoots for a few projects for clients including fashion stores, showrooms and model agencies. We got a behind the scenes videographer to shoot a video of this particular collaboration. Working with a professional like Tarek Reed is a great opportunity to cultivate my work. We are currently in the process of submitting the final images for publication. It is exciting to see the final products when you have helped produce beautiful photos. It is even more exciting to see them in publications. I select items including fashion items and props that a model can use for a shoot whether it is for magazine, billboards or other media. Sometimes I also advise the photographer on what would look good in photos and items that are then chosen for us to promote. I Communicate with celebrities/models, retailers, designers, brands, hairdressers, photographers, etc. I also do makeup and hair styling for celebrities during a photoshoot. Generally, I advise clients about what fashion direction they should take. A celebrity wardrobe stylist may do the things listed above, and more, but the main goal is to make the model or the celebrity look good for a shoot whether on video or in photographs. It does sound fun, right? Working with different kinds of creatives and putting together something beautiful for others to look at. So what does it take to be a celebrity wardrobe stylist? I found out after years of working in this job, that passion for fashion and unique trends is the first and foremost thing that a wardrobe stylist must have. Next to that, is a keen eye for beauty. What colors match the model’s tone? What items must be selected for the celebrity to wear to make the photographs stand out? These are all the things that I think about every day on the job. As a Los Angeles television wardrobe stylist, I principally work on TV commercials. while I lived in Shanghai, China I was hired by Fred and Farid, an international independent advertising agency to work on a project with one of their clients, Sugar Lady, on their next commercial. Moreover, the production company asked me to bring on board, a hair and makeup team for this commercial. 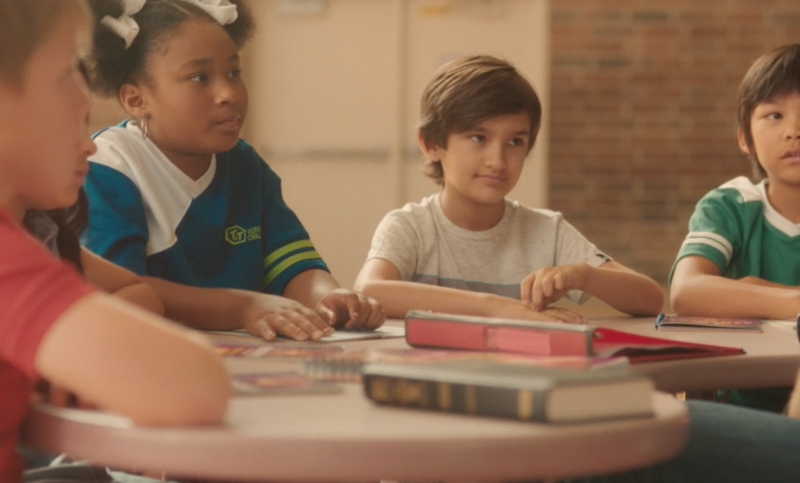 On this commercial, I took care of the direction we were going regarding the appearance for wardrobe and hair-makeup. The style was very elegant and minimal, I used only monochrome colours for accessories and I selected very large brim hats to keep our model mysterious. In fashion terms, hats are a very noticeable accessory because the onlooker’s attention is first drawn to the face. For this reason, I made sure the costumers first attention would be drawn to Sugar Lady’s newest collection. For styling, the key things you need are creativity, communication skills, and good teamwork. With luxury brands, these things are very important as a result of the clients have really refined taste. There are some inherent and learned qualities that build a successful fashion stylist. As a wardrobe stylist agency in Los Angeles, you need to have several wardrobe and fashion stylists in your roster to recommend for specific projects. You can represent stylists in each category, for example luxury, sport, beauty, and fashion. Sugar Lady has been a ladies fashion brand for over 30 years. Sugar Lady is a luxury brand or prestige brand for which a majority of its products are luxury fashion clothes and accessories. 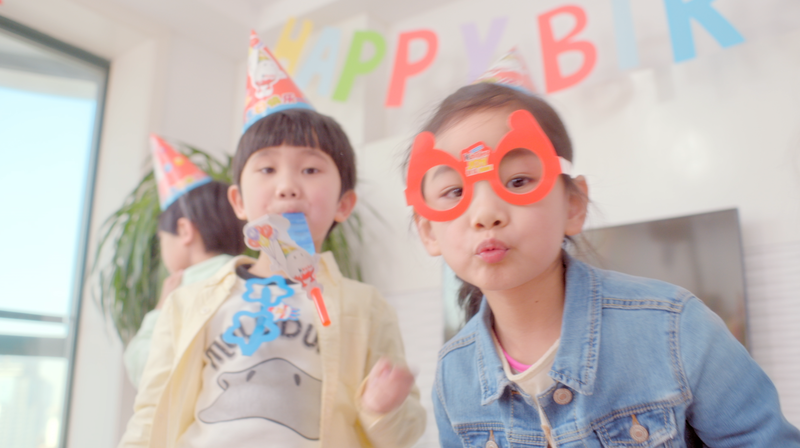 I collaborated with ZORBA-Group ad agency as a kid’s wardrobe stylist on their KinderJoy China TV Commercial. ZORBA is a large agency with offices in Paris, Shanghai, and Singapore. The commercial was produced by Studio Supreme. 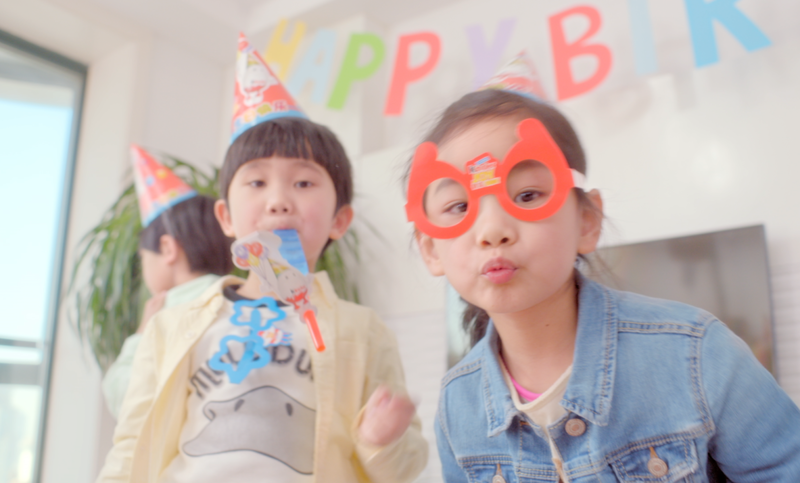 For this TV commercial I had 2 Chinese families to style including 6 kids. The color palette the client and agency choose was pastel. Pastels are one of the major trends this season and my favorite combinations for advertising shoots. As a kid’s wardrobe stylist, some of the brands I love to work with are ZARA, Uniqlo, Gap and H&M. These fashion brands always carry different styles and fabric options in their latest collections so I can mix and match their wardrobe. Working with kids is always exciting, they bring high energy to the set. ZORBA-Group mix the world of artists, scientists and technologies to create the crème de la crème of storytelling and brand contents for all medias and audience. ZORBA-Group is a ad agency, a collective, a brand content company or a production company. The story of the KINDER™ brand begins in 1968 at the heart of a small Italian town named Alba. Michele Ferrero developed KINDER CHOCOLATE and added what would become a famous brand for the Ferrero company, which remains family owned today. Ferrero couldn’t be more proud of its history and is delighted to take the strong foundation of the past and continue to bring KINDER™ into the future. In conclusion I loved working with KINDER™ and hope we can continue collaborating on upcoming TV commercials in the near future.